Up to 6 people at once! Nestled on the picturesque shores of Lake Wakatipu and home to breathtaking views of The Remarkables mountain range, the stunning resort town of Queenstown is one of New Zealand’s premier destinations for thrill-seekers and has long been a mecca for adventurers visiting the South Island. Indeed, the very first people to visit the region were Maori adventurers in search of the rare pounamu, also known as ‘greenstone’. This semi-precious stone was expertly crafted into tools such as chisels, fish hooks and weapons; and was believed to hold mana (prestige) that was passed down from generation to generation. It wasn’t until gold and copper was discovered in nearby Arrowtown (around 1860) that a permanent settlement rose on the wild shores of Lake Wakatipu. Founded by adventurous European prospectors, it is speculated that the name ‘Queenstown’ was given to the settlement when a local prospector proclaimed the beauty of the town to be ‘fit for Queen Victoria’. Over the next 150 years, the hot sweat and tears of wild prospectors, adventurers and risk takers flocked to Queenstown and would leave their mark in the very foundations of the people who lived there. It is little wonder then, that Queenstown today lives up to its reputation as the Adventure Capital of the World – boasting around 220 adventure tourism activities and attracting over 1.9 million visitors a year. 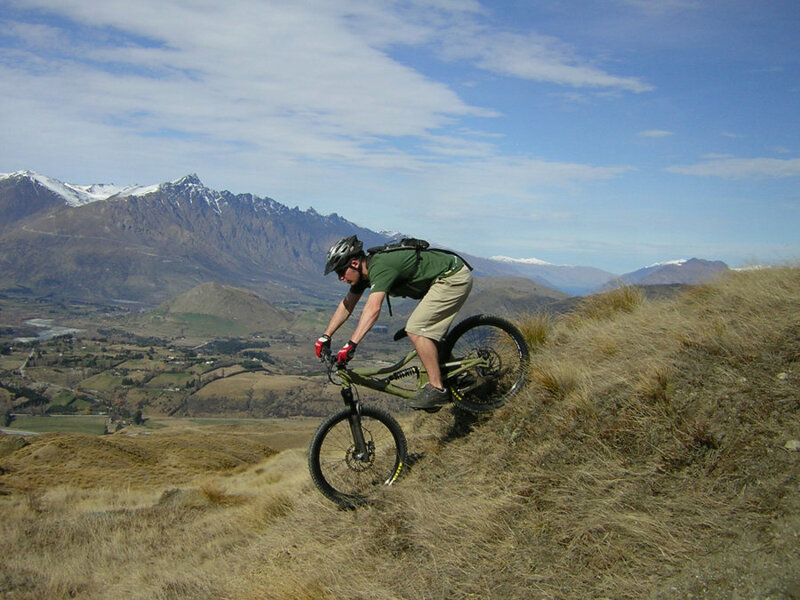 As the adventure capital of the world, no doubt your own stay in Queenstown will include a heart thumping mix of adventure activities such as bungy jumping, white water rafting, heli-skiing, BMX riding, power boating and even skydiving. That said, if extreme adventure sports aren’t your cup of L&P, then Queenstown offers many other leisurely activities from spa treatments to art galleries to golf and stunning hiking trails. Moreover, Queenstown has one of the best food and wine scenes in New Zealand and we recommend that you indulge yourself at many of the local bars and eateries. 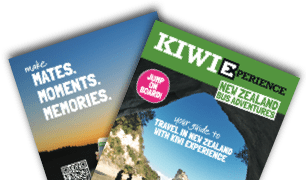 As your Kiwi Experience Bus pulls into Queenstown, your Driver Guide will point out some of the many interesting features in the town, including the wild Shotover River and Kawarau Gorge (Kar-wa-row). Keep an eye out for the many iconic locations used to portray Middle-Earth in the Peter Jackson’s movie trilogies: “The Lord of The Rings” and “The Hobbit”, these include The Remarkables mountain range, which rises 1943 metres above sea level, a few kilometres south of Queenstown. 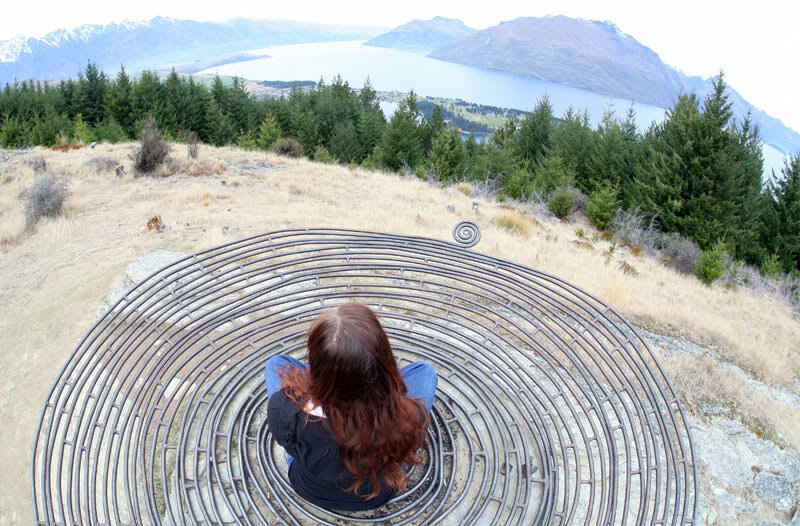 staying three nights in Queenstown because there is just so much to see and do. 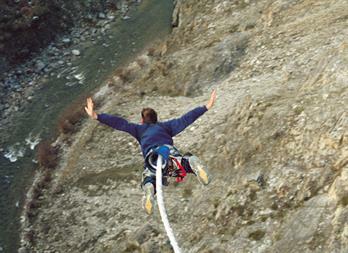 But, if you are chasing an adrenaline shot with a twist, then try the Nevis Swing. Officially the world’s biggest swing, you will soar 160 metres above the Nevis River at 120 kilometers an hour. AJ Hackett jumps have a number of Queenstown deals and combos packaged for Kiwi Experience members.If you are looking for things to do in Queenstown and need a place to start, why not begin your adventure with a bungy jump? Queenstown has a number of heart-stopping bungy jumps and swings to choose from but the most extreme has to be the highest bungy in Australasia – the Nevis Bungy – which towers an epic 134 metres above the Nevis River. Skippered by the experienced crew from AJ Hackett Bungy, the Nevis Bungy is not for the faint hearted. BEST PRICE GUARANTEE ON ACTIVITIES! With your spine now stretched and hair windblown, it’s time to fuel up with lunch at some of Queenstown’s gourmet eateries. 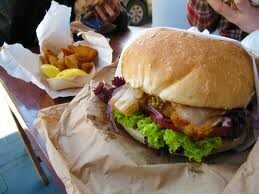 We recommend trying one of the epic hamburgers at Fergburger (42 Shotover Street) super tasty! Need more altitude? Then why not tandem paraglide off the highest commercial take off point for Queenstown with Coronet Peak Tandem Paragliding or launch yourself out of a plane with NZONE Skydive. 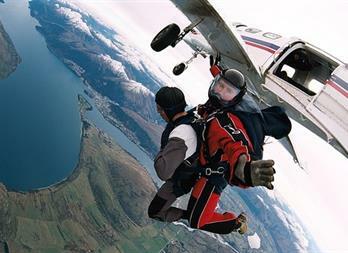 This Queenstown extreme sports company is an institution and has some of the most experienced skydivers in the industry. They are the home of the tandem skydive and have been in the game for 25+ years! Shotover’s most forebodingly named rapids, such as After Shock, Pinball and Jaws. Alternatively, experience the Shotover River at high speed with Queenstown’s world famous Shotover Jet boat ride. The Shotover Jet speedboat has been skillfully navigating the tight turns of the Shotover since 1970 and has thrilled over 3 million people. Not in the mood to get wet? Then chat with the guys over at Guided Walks New Zealand and take a leisurely half-day guided walking tour around the alpine region; or drink in the spectacular views on the Skyline Queenstowngondola. If you are travelling during the snow season, hit the slopes on one of the four different ski fields around Queenstown, all the gear is available for hire in the town centre. By now the sun should be setting and this is when Queenstown really comes alive. Queenstown’s nightlife is rated amongst the best in the country with over a hundred fantastic restaurants and bars in town. Make sure that you catch the activities and games at Loco Bar. Or check out the infamous Teapot Cocktails and the pumping dance floor at The Find. Most bars in town have a free coat-check so make sure you don’t leave your valuables lying around while you dance the night away. By travelling with Kiwi Experience, you're guaranteed to get the best accommodation price at Nomads Queenstown. Base is another quality hostel and situated in the heart of Queenstown. Each room contains a fridge and beds in an 8 bedroom dorm begin from $27NZD per person per night. * The hostel has 24 hours security, an internet café and the famous Loco Cantina party bar.